It has been a long WINTER in Galicia – we skipped right over Spring and in one day it is SUMMER! Perfect time to refresh your Camino Spirit by feeling your feet in the sand and fresh ocean breezes on your face! Gracias Jesus Trillo Muxia and Caminando Cara o mar for making your facebook post – looking forward to a little beach time in Muxia! 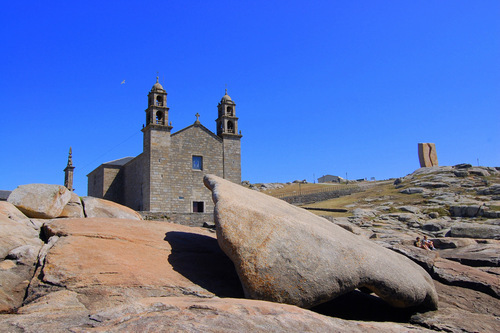 This entry was posted in Camino Travel Tips, Secret Treasures , Legends & Myths of Galicia, Secrets of Spain and tagged beach, camino, history, nature, outdoors, photography, spirituality, The Way, traditions. Bookmark the permalink. We will be in Muxia at the end of the month -so looking forward to it.